We had a smattering of snow again yesterday but thankfully it is only a dusting and roads are still clear. It’s pretty chilly out today so I think I will wait until the afternoon for grocery shopping, which is why I have time to write this post this morning. 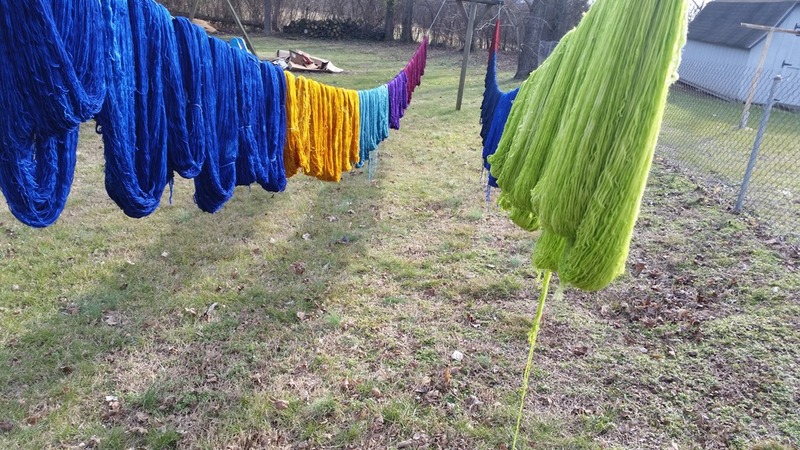 What you see here is the results of Friday’s dyeing. About half is a minor restock of my inventory and the rest is for the Bocce Shawl Kit. 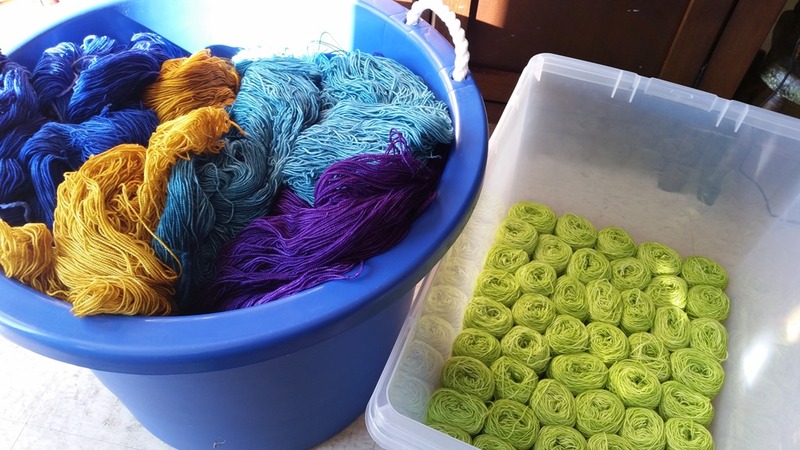 This week I got to work on the winding of the mini skeins for the kit. 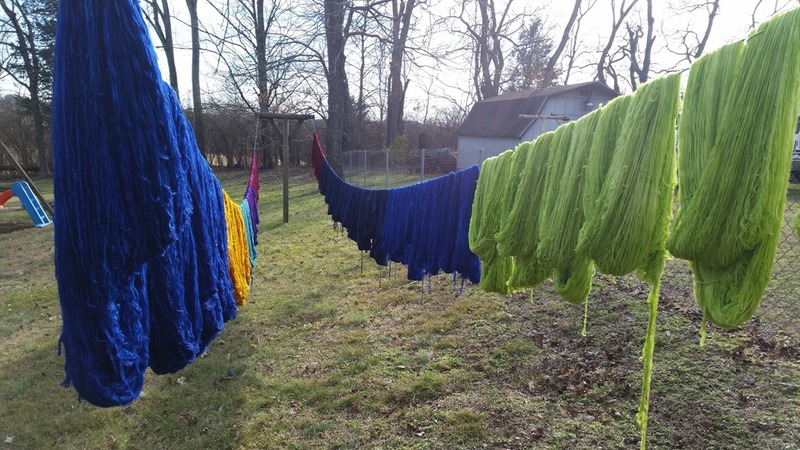 I have one color all done and four more to go. I have the cover sheet for the pattern ready and the only detail to be finalized is how to package the kits. Most importantly, to me anyway, is that I am sooo close to finishing the knitting of the booth sample Bocce Shawl! 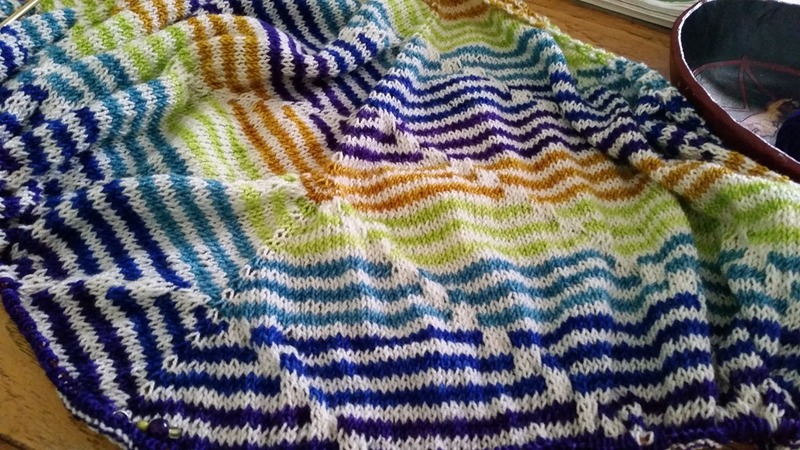 I am finished with the color sections and only have the border to knit. That’s only 12 rows and the bind off, so not much at all. I just love how it’s coming out and can’t wait to see it after it’s blocked. 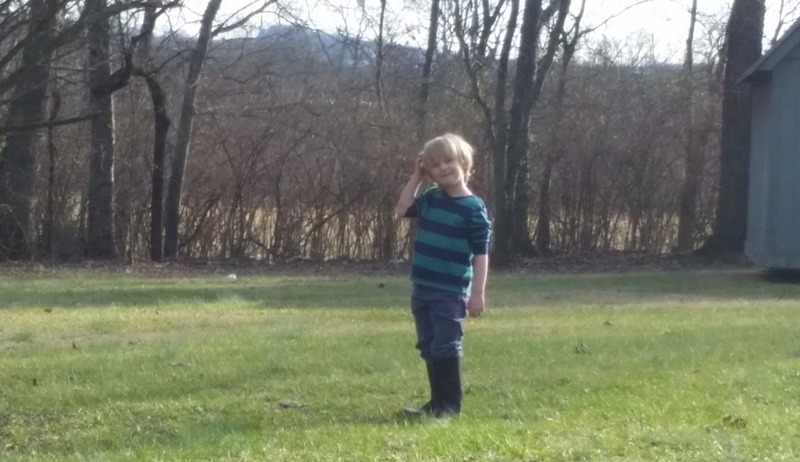 I took this shot of Elijah on Friday when I was out working when he came out to play and observe wearing his big sister’s boots. It was so precious I couldn’t resist a picture. Well, blocked shawl pictures and more details on the kit will most likely be in the next post. Stay warm, spring is coming soon! Right?